In April 2013 her great great niece, Janice Kennady (née Stone), emailed me out of the blue and I now have photos and other information about Ellen Baldrey. 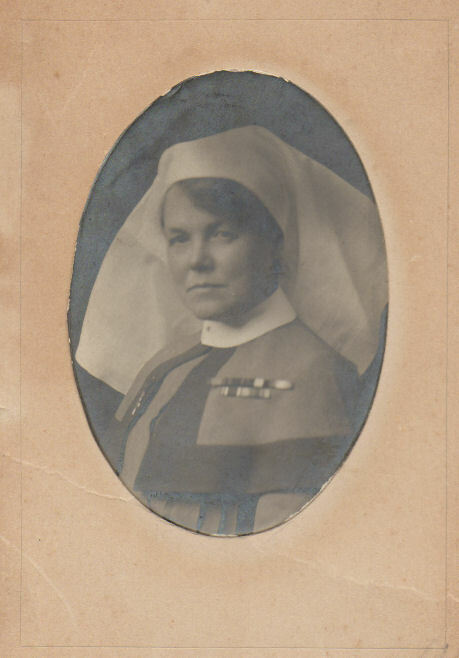 The first picture of Ellen Baldrey is undated but I am guessing that it would have been taken after the First World War. Click on the thumbnails to enlarge images. 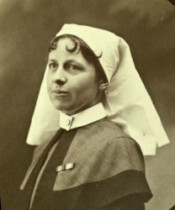 Ellen BALDREY. 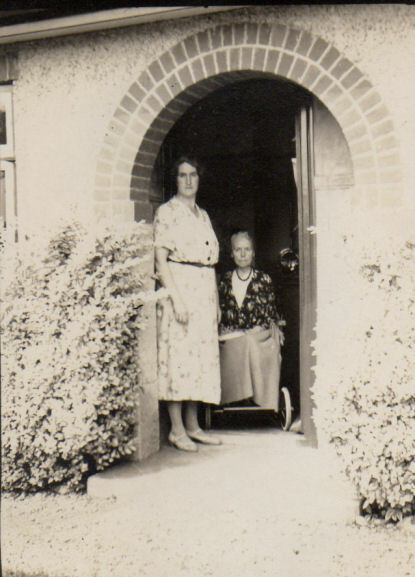 Born in Norfolk, and at the outbreak of war living at 49 Blackwater Road, Eastbourne, Sussex. Served during the Boer War with the Army Nursing Service Reserve. 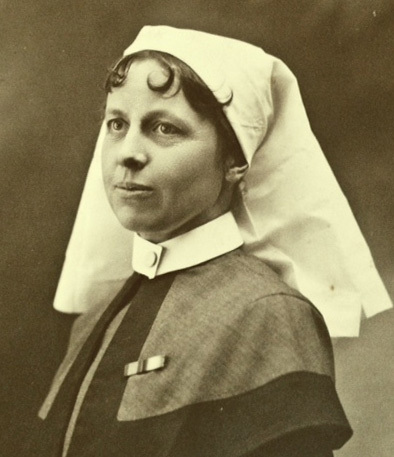 During the Great War an Acting Matron, Queen Alexandra’s Imperial Military Nursing Service Reserve. 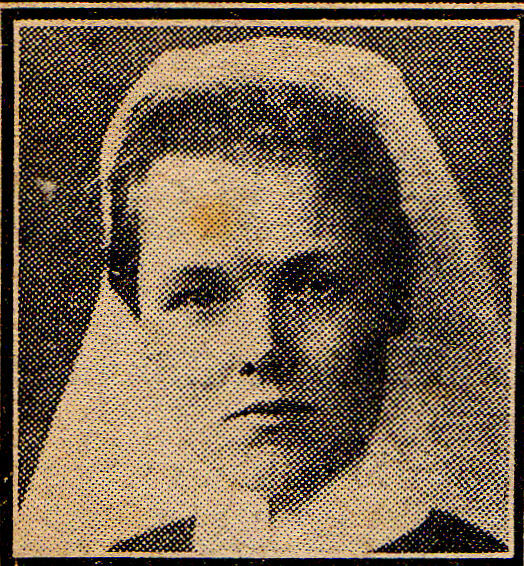 She died on 4 March 1940. 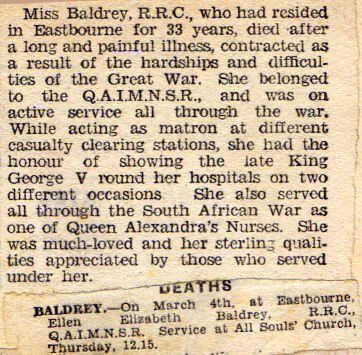 Miss Baldrey’s name appears just below that of Edie on the Register of Persons on whom the Decoration of Royal Red Red Cross was conferred. This can be seen on our page about Edie’s medals – click here. It would be good to hear from any of Ellen Baldrey’s family. The reason is this. 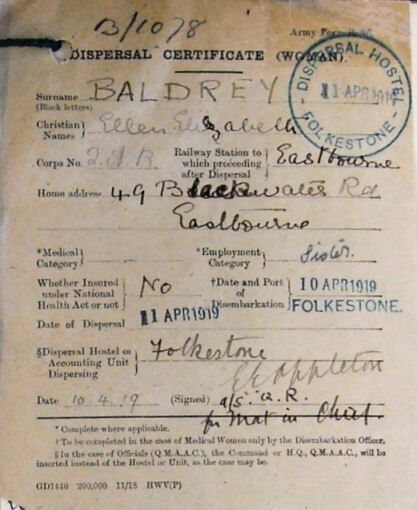 If you read Edie’s dairy for 14 July 1918 you will see that she felt she had reason to feel aggrieved about her treatment by Miss Baldrey. This must have been heartfelt as Edie was not in the habit of criticising her colleagues unnecessarily. The passage reveals strong feelings but almost 100 years later perhaps our families can meet and bury the hatchet!